Whether you are thinking of selling your property or considering purchasing, you’ll want to make the most informed decision on your life’s biggest investment. See how much the value of properties in any community have appreciated compared to the same time period, one year ago. Compare the benchmark price of properties in a neighbourhood to the prices of others in its municipality and zone. This will give you an idea of where your desired neighbourhood sits in regards to it's surrounding developments. See the most recent activity on the market for the community of your interest. 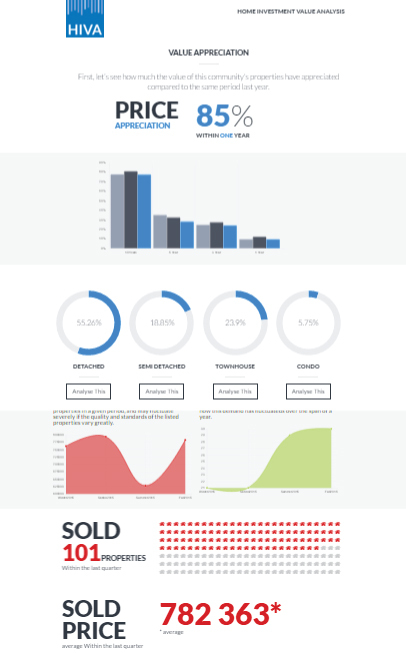 Easily determine how many properties have been listed, how many of them have sold and what the average sale price was for these properties. Find out how your community ranks in terms of demand and value appreciation. Compare this information to other neighbourhoods in the same municipality and zone. Get informed on the latest property updates in your community. Compare this information with your current property or with your future home. Notice the appreciation percentages of each property type in the GTA over a 3 year period. Compare the Benchmark price for different home types available in the Greater Toronto Area. 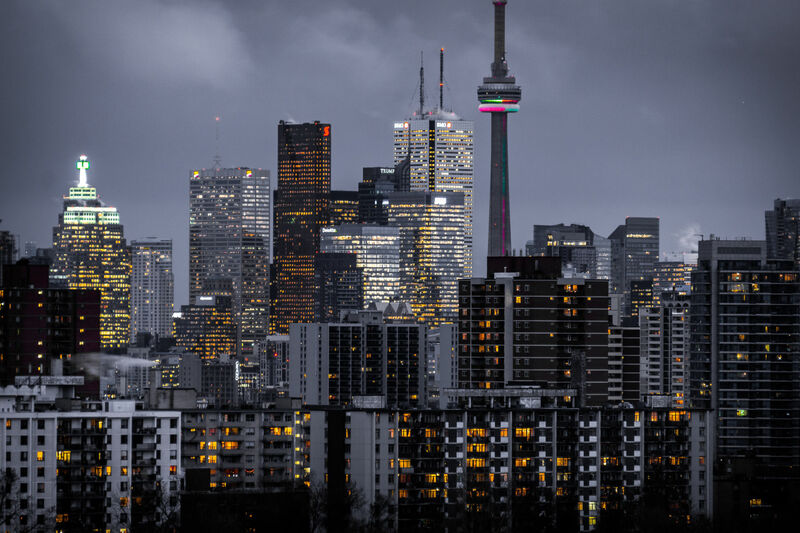 Take a look at other indicators from the most recent real estate market activities in the Greater Toronto Area. This will give a better understanding of the current status and trends in your real estate community. The chart below displays the monthly trend of average market prices for all types of properties in the Greater Toronto Area. Please note that each point on this chart demonstrates the average sold price of the properties in a given period. These averages may fluctuate as the quality and standards of the listed properties vary. DOM or Days on Market indicates the number of days from the listing date of a property to the date that property has been sold. This chart indicates how in-demand properties are in Toronto and the Greater Toronto Area and how this demand has fluctuateds over the span of a year. We can see how active the market has been in Toronto and the Greater Toronto Area. We compare the number of newly listed properties in a given time frame with the number of properties that have been sold and the number of active listings in the same time frame. The more properties that are listed and sold, the more vibrant and active the market is in any given community. Now let's see How Many Properties have sold in the GTA during the last month and for How Much. Get a FREE Home Evaluation of your property and full analysis on your neighbourhoods current market. Calculate how much capital you’ve gained on your property, estimate your property’s current value and find out when you would profit most by selling. Get Free and Up to Date listing alerts and full analysis reports on your desired or favourite areas. Find out what property types and in which neighbourhoods are the best and smartest choices to invest. See all available properties and calculate how much equity you expect to gain on your future home or investment.